In celebration of Earth Day 2019, we are sharing a story about how simple education about the impact of our actions on our environment can transform a community. PWW environmental workshops address keeping source water safe and protected, including from nearby animals that also need water (as pictured above). One of the many different facets of water protection and safe drinking water! In 2009, Pure Water for the World began working with the community of Los Milagros in rural Trojes, Honduras. The community collaborated with PWW to receive clean water filters and latrines in all 50 family homes as well as in the local school, called Ramon Villeda Morales. 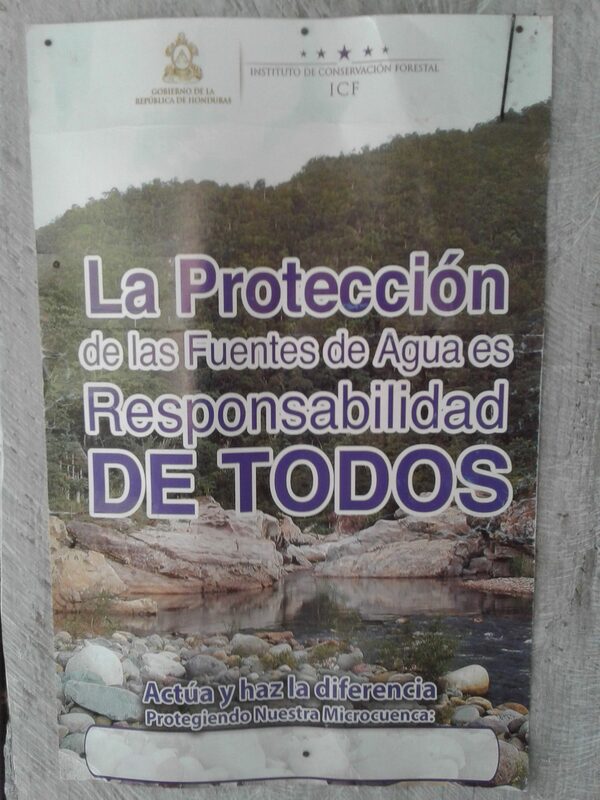 In addition to the implementation of water and sanitation tools and training regarding safe hygiene education, PWW provided the community members of Los Milagros with training about the protection of the environment. The goal of the training was to raise the community members’ awareness about practices that can damage the environment, the forest, and their water sources and what can be done to limit the harmful impact of those practices. Since that time, the community of Los Milagros has proven itself to be particularly interested in environmental issues and preservation. A majority of Los Milagros residents are now involved in the Cooperative Fronteras de Oriente, a cooperative based in Trojes that promotes sustainable pine cultivation and the development of beekeeping. Through the cooperative, the Los Milagros residents have benefited from various additional trainings, including one from the Honduran Forest Conservation Institute that promotes the protection of water sources. Argentina Santos, a 50-year-old citizen of Los Milagros, is a member of the Cooperative Fronteras de Oriente. 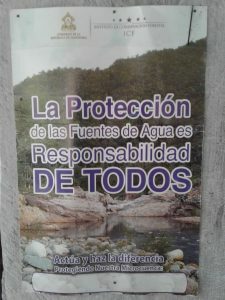 She understands the importance of protecting the water source of her own community as well as helping the communities located near Los Milagros that share the same water source. The area has been designated as protected; it is, therefore, forbidden to cut down trees. The communities have also been encouraged to plant tree seeds to continue to enhance the environment into the future. 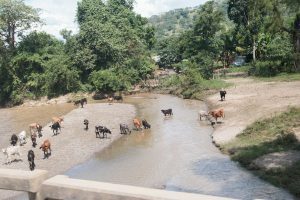 Uncategorized Earth Day, Honduras. permalink.